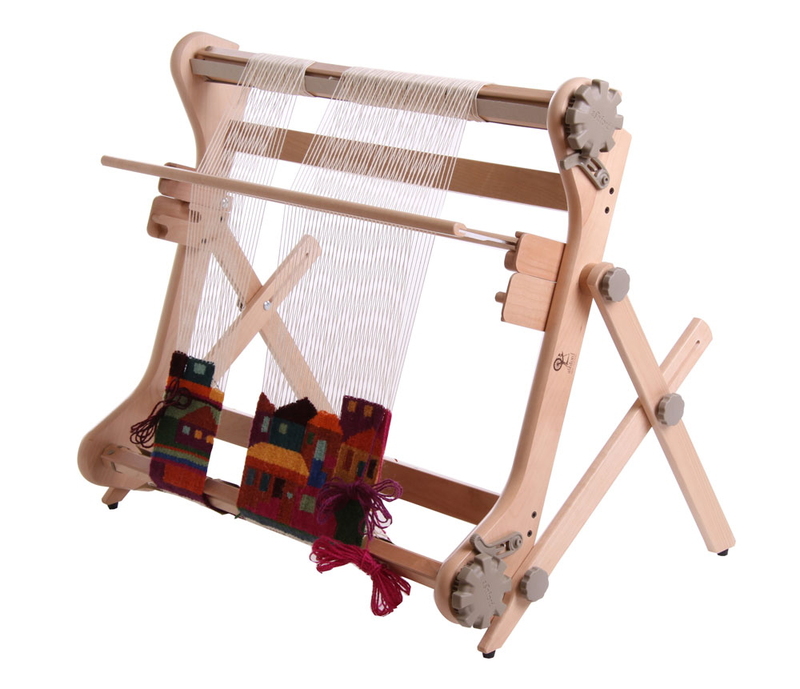 The popular rigid heddle loom has become even more versatile! With this new stand your Rigid Heddle Loom is in an upright position which is very comfortable when weaving tapestries or using other hand-manipulated techniques. The angle of the stand can be adjusted to suit. The kit includes adjustable stand with rubber feet and extra side posts to hold the reed in place. Compatibility: Rigid heddle loom 40cm (16”), Rigid heddle loom 60cm (24”), Rigid heddle loom 80cm (32”).